Knowing where your data resides is critical to Cyber Security planning and responses, defining eDiscovery preservation and evaluating your backup plans. It can lead to BIG savings down the road. Join us as Larry Briggi (NCX SME), one of NCX's Subject Matter Experts, with over 30 years in the industry, provides reasons you should become a "Data Prepper". Event will be Online Friday the 1st of February at 1230EST/1030MST. Principal Solutions Architect at Davis & Associates. Larry is a nationally known thought leader with a stellar reputation as a highly technical data discovery expert. 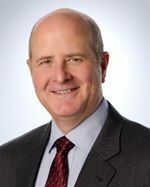 He comes to Davis & Associates after having been a director in Navigant Consulting's Legal Technology Practice where he was a trusted advisor to litigators and operational managers at some of the top law firms and corporations in the world. 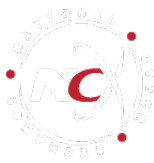 NCX is a Proud Supporter of NCSAM ! IDShield provides the legal and identity theft protection you and your family need and deserve. Healthcare Information Security Center of Excellence (HISCoE) is a Colorado-based Governing Body of Healthcare and Cybersecurity Professioinals who meet and target unique partnerships with healthcare service providers and healthcare industry associations througout Colorado initially, with a goal to expand these relationships nationally. We will be working closely with the National Cyber Exchange team to bring you leading healthcare cybersecurity best practices.